According to IISD, about half of people searching for climate change and development information start with a simple internet search. But, type “climate tool” into Google and you will return 640,000 results; type “NDC implementation tool” and you will generate nearly 12,000; or type “climate data” and you will generate over 16 million. In the NDC Partnership Toolbox Navigator alone, there are over 350 tools and platforms. What these results show is that there is an abundance of resources, data, and information being produced and disseminated, but this can make it difficult to find the most relevant knowledge tools. There are special climate knowledge platforms to help navigate this abundance, but only seven percent of users start with these, which means that a lot of effort goes into creating knowledge resources and tools that, essentially, go unused. The World Bank estimates that 31 percent of its own policy reports are never downloaded and 87 percent are never cited. These realizations led the NDC Partnership Support Unit to ask who is using these tools, and why or why not? As a coalition of more than 70 governments and 17 international organizations, the NDC Partnership has access to a wealth of knowledge through its membership and is well-placed to ask these important questions. 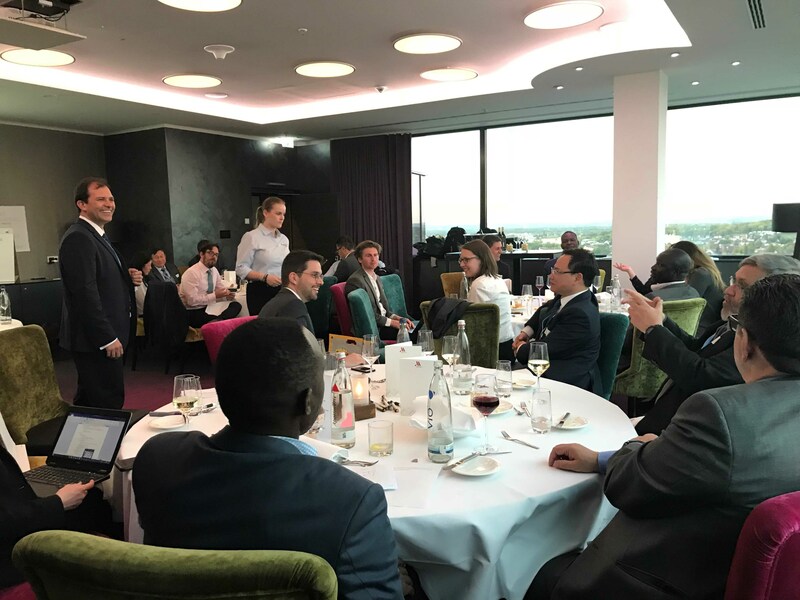 To find answers, the NDC Partnership brought together a dozen of its developing country representatives and 30 representatives from research institutions for informal discussions at the recent UNFCCC Climate Change Conference (SB48) in Bonn. What the team learned is that it is not the tool itself that matters most, but instead for whom and in what way the tool is developed, adapted, and shared. Conversations between country representatives revealed that global knowledge tools are only useful insofar as they are adapted and translated for their audience – a complex ecosystem that includes not only ministries of environment, planning, and finance, but various government institutions at both the national and subnational levels, the private sector, civil society, academia, consultants, and the public. “Language is everything,” succinctly stated one participant, summarizing the consensus that translation is key. Countries stressed the importance of translation not only into local languages, but to adapt tools for different stakeholders. As one representative explained, “People don’t speak the climate change language.” If knowledge tools are not understood by everyone needed to implement a country’s climate goals, the tools will have limited usefulness. Translation must also customize tools to fit national circumstances in a way that is sensitive to cultural, political, and economic realities, agreed several country representatives. For example, one representative shared that his country had adapted an international framework to its needs by swapping emissions for livestock as an indicator. As he explained, the final target for the monitoring tool was the person in the village who would be impacted by climate change. For this user, livestock was a tangible measurement whereas emissions were not. When discussing what makes a good knowledge tool, representatives praised tools flexible enough to be adapted to national circumstances and relevant for various audiences. To build trust and credibility, as well as capacity around the use of tools, both countries and institutions stressed the importance of direct human interaction. As one country representative stated, “The most important tool is human resources—face to face meetings.” Another said that personal exchanges were needed to grow confidence and to “act as a bridge” to share information, both within and across countries. Several representatives maintained that they valued opportunities to share information with members from other countries in similar roles and that they often found tools or other strategies through their foreign peers. Our partner institutions have been working to develop creative solutions to ensure the knowledge tools they develop reach the right audiences and have lasting impact. A key success element raised was establishing long-term relationships with relevant stakeholders at the country level. Institutional representatives mentioned the success they had achieved through partnerships with domestic research institutions, by integrating knowledge tools into school curricula, and through secondments. They also recognized the benefits of peer-to-peer learning and spoke of bringing together countries to teach one another and establishing regional communities of practice. Despite efforts to make knowledge tools useful, many challenges remain. Consistent capacity and trust are hard to maintain due to government turnover, diverse audiences, and competing in-country priorities. Institutional funding models prioritize the development of new knowledge tools and fancy websites, while leaving little room for impact assessment or time to create lasting relationships. With this knowledge and understanding of what countries want and need, the NDC Partnership will continue to explore these issues by bringing together a wide range of institutions, countries, and relevant stakeholders who create, use, and share climate knowledge resources. By working as a partnership, the NDC Partnership can challenge ourselves to create tools that directly respond to countries’ needs, while providing the translation, training, and capacity building to make them relevant. This blog was written by Amanda McKee, Knowledge Management Associate, and Talia Calnek-Sugin, Project Coordinator for Knowledge and Research.